No items have been added yet. Select an item from the menu and add it to your order! Welcome to Feasta Pizza! With two Lehigh Valley locations, Schoenersville Road near the LVIA Airport and Freemansburg Avenue in Bethlehem Township, Feasta Pizza serves up some of the area's best pizza. At Feasta Pizza, every dish is created using only the freshest, finest ingredients. Never frozen! They hand toss every pizza and use only fresh toppings. The Caricari family purchased Feasta Pizza in the summer of 1989, with a vision of creating the Lehigh Valley's best pizza. They offer a variety of specialtes from lasagna, veal ,chicken, pizza, steaks, sandwiches and pasta dishes, all using recipes from their homeland in Palermo, Sicily. It is always great food either delivery or eat in! They always make it right and pay attention to detail. Everything is great, Always reliable for a good meal! Staff friendly and courteous. 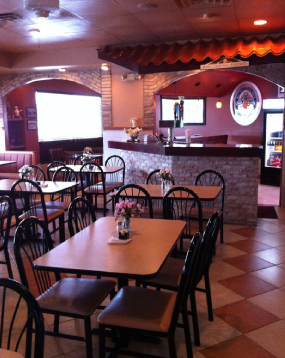 Be the first to review Feasta Pizza (Schoenersville Rd. )!